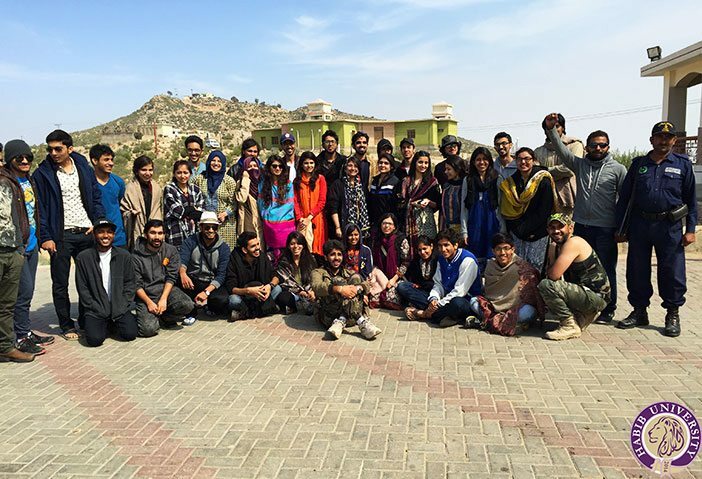 Spring Break 2016 was an unimaginably enthralling ride for Habib University students who boarded a bus to Gorakh Hill Station, Sindh with the HU Adventure Club; with temperatures dropping below 10 degrees at an elevation of 5000 feet, interior Sindh had been greatly underestimated! The two-day trip comprised long road trips to and from Gorakh with stops at places including Jacobabad for breakfast and lunch. Starting at 6:30 in the morning when the bus left the campus, the bus reached Wahi Pandhi in the afternoon, where the students boarded jeeps for the journey of a lifetime –three full hours of racing up steep hills. Each jeep had seven students with their stories to tell –of excitement, cold and horror. Reaching atop just in time, sunset at the hills was an awe-inspiring experience in the wilderness. Perhaps nothing could surpass the nightlong trekking up and down the mountains in the excitement it brought; with torches in their hands and moonlight overhead, groups of friends made their way from in between shrubs, potholed rocks and ramble stones. 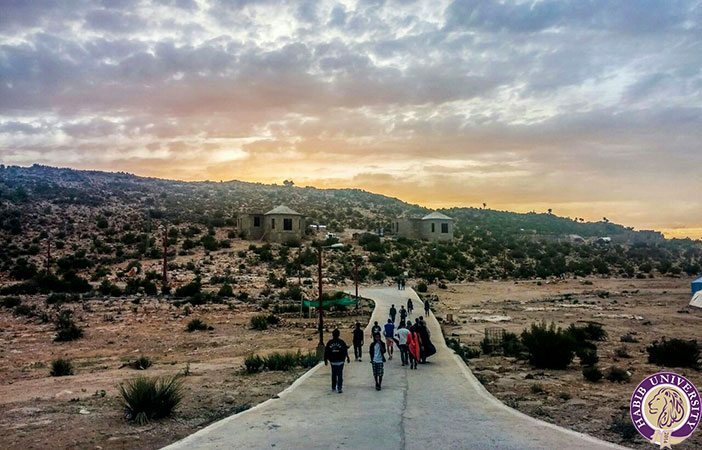 ‘Gorakh’ is a Balochi word which means ‘wolf’ –and the first thing students were doing was to watch out for any in all the thrill and adventure! During the bonfire, everybody made an effort to stay up and mark the chilly night. It wasn’t the topography only that wrapped the students’ memories; the wind, absence of the sun and unpredictable temperature drop next morning added to the escapade. Jokes and tea thawed chattering teeth. Day two was marked by a three-hour long stop at the shrine of Lal Shahbaz Qalandar at Sehwan Sharif. Exploring the vibrant spaces within as well as outside the shrine, licking kulfis and sipping lassi, the day ended on a plate of biryani. 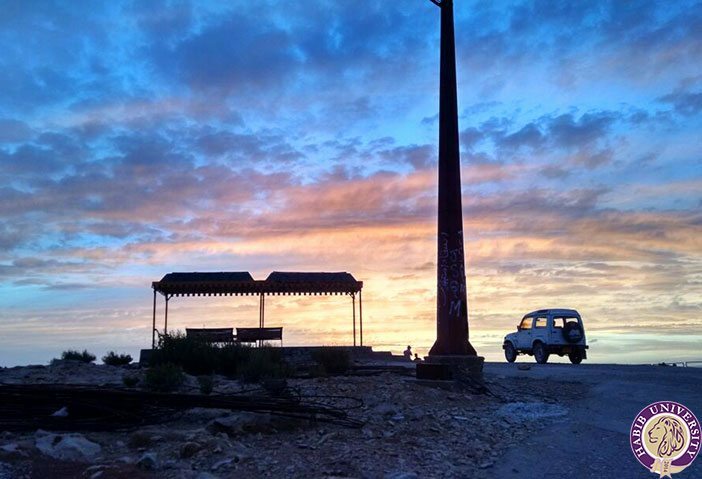 If you ask those who experienced Gorakh, they’ll tell you that the HU Adventure Club couldn’t plan a better adventure!